Members enjoy 40% off mains with a free side. Minimum purchase of two main meals is required for free sides. Visit Table Table where you can try a selection of traditional pub classics and some more interesting dishes to tempt your taste buds, and as a Possibilities member you can enjoy 40% off mains, as well as ‘a bit on the side' with a free side when dining from the main menu in conjunction with a Possibilities offer. This spring why not try a delicious dish from the new Table Table menu? 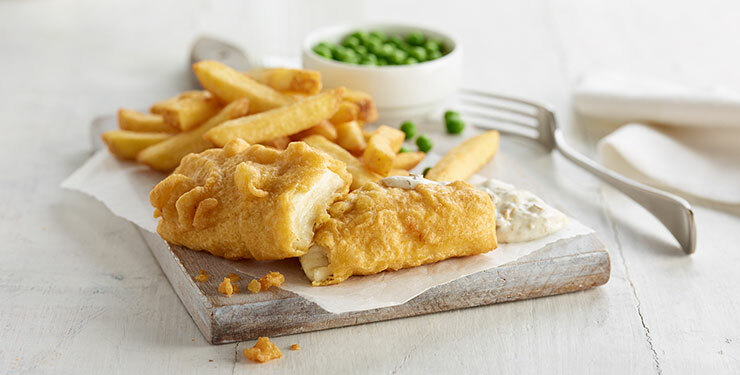 The new range of enticing options and seasonal special handpicked for spring includes Mozzarella Chilli Bites, Surf & Turf Combo, a Fish & Chip Shop Platter and a Strawberry & Prosecco Trifle. 2) All set menus, Lunch Club, 2 for £8.99, Evening Value Menu, Kids Meals, Breakfast and Premier Inn Meal Deals are excluded from this offer. 1) This offer entitles the Saga Dining Possibilities member to one side (from ‘a bit on the side’ section of the core menu, excluding ‘Stacked with flavour’ limited time only sides) free when member is dining from the main restaurant menu in conjunction with a Saga offer e.g. 40% off mains. 2) Only one portion of free side is available per main purchased. 4) Key date and Seasonal Set Menus, Lunch Club, 2 for £8.99, Evening Value Menu, Breakfast and Premier Inn Meal Deals are excluded from this offer.